The metal iron mesh design with one 12cm noiseless and high-airflow fan provides good ventilation for silent cooling efficiency. Ergonomic design with five angles adjustment. 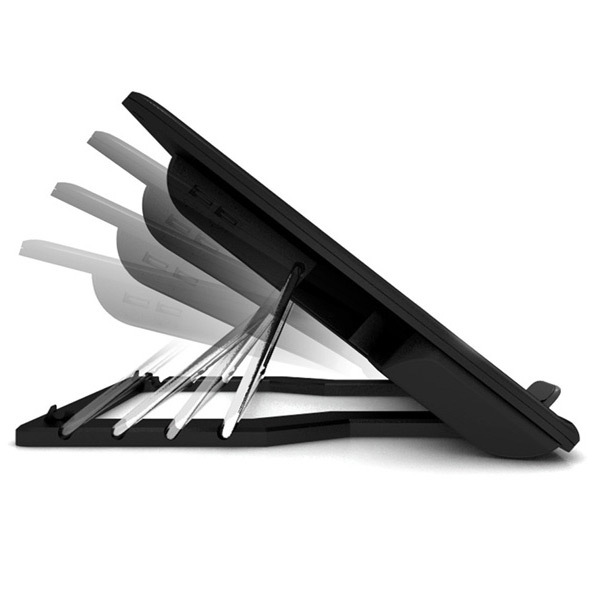 Users can choose the most comfortable position for their notebook. It's compatible with 12"-17"notebooks (including CULV). USB port for power is greatly convenient.